I couldn’t believe the prices and I got some extra discount because I’m a student. They look like new books, except Soulless: the spine is a little cracked. Sarah Zettel – Dust girl. Kenneth Oppel – This dark endeavor. Debra Driza – Mila 2.0. 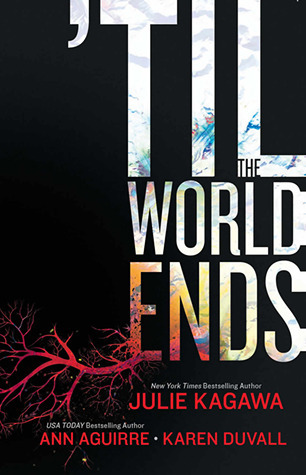 Julie Kagawa – ‘Til the world ends. So happy for you and hope you enjoy all your new books! I can't wait to start reading Mila 2.0 :) All your other books look great too! Although I'm not a fan of her Twilight Saga, I actually really loved The Host. Can't wait for the movie! Aaaah, Daughter of Smoke and Bone! I'm dying to get my hands on a copy of that book, and I really, really hope you enjoy it as much as everyone else seems to! 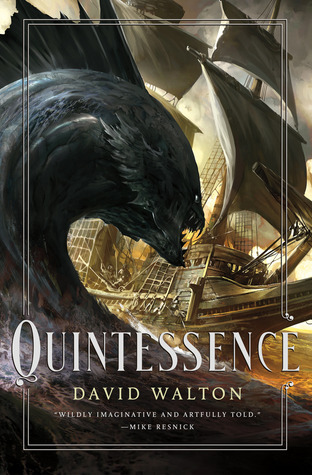 That front cover is gorgeous, too. Mila 2.0 is a book I've been seeing everywhere lately, and I'm eager to know what all the fuss is about. The Host sounds phenomenal, and although I was never the biggest Twilight fan out there, I really want to read it. OOoh nice! Loooove Gail Carriger's Soulless! Bloodlands was an interesting read, but not one I loved as much as I had hoped. Hope you enjoy all your awesome new deals/reads! Great Belle pillow in the background! Love Belle and Disney!! Congrats on getting yourself some cheap English YA books. Soulless looks great, I have that to read and Daughter Smoke and Bone! So excited that you found a great new bookstore! Love your Belle pillow case! SO cute! I loved Daughter of Smoke and Bone and I enjoyed soulless! I love Daughter of Smoke and Bone, and the Host- even better when the books are at a bargain price! The Host is great by the way - I loved it and not sure if the film will do it justice given the premise...lets hope so! The host and Daughter of smoke & bone are amazing!! Good luck with Mila 2.0 I've heard it's amazing! 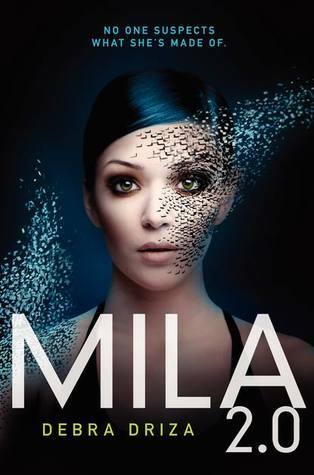 I am dying to read Mila 2.0! I can't wait to see what you think! 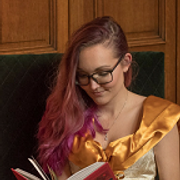 And I just read Gail Carriger's young adult book that takes place in the same world as the parasol protectorate and I can't wait to read her adult series now! I enjoyed Mila and hope you do too. Awesome books! THE HOST and DAUGHTER OF SMOKE AND BONE are both fabulous stories! I just did a giddy happy dance for you over the incredible deals you found! I love finding deals like that! You found some great reads too. I hope you enjoy your goodies! Happy Reading. I swear by Daughter of Smoke and Bone! I hope you love it! So jealous! :) I have yet to come across ANY bookstores like this in my area. The library doesn't even have sales. You should smuggle me over to the Netherlands. Awesome books, enjoy reading them! Oh wow amazing haul! So many great books, I'd love to get some myself, Taylor's especially. Happy Reading! And thanks for stopping by and commenting on my StS post earlier! YAY for Daughter of Smoke and Bone! You will love that book! Happy reading! Sounds like you found a great store! I can't wait to read Mila 2.0. I have seen so many people getting it lately! Wow great finds! :-) Hope you enjoy all these. Seems everyone has Mila 2.0 at the moment... looks intriguing! Have a lovely week! ohh my God THE HOST!! I EAT, BREATHE, AND LIVE THIS BOOK! Seriously, it's one of my top favorites!! Its great that you were able to find a library with english YA! Happy reading Mel! Oh my gosh, it's Til the World Ends!!! I cannot wait to read the next Blood of Eden book, eeee!! Congrats on your haul-great deals and hopefully with many more to come! Yay! I'm so glad you found an awesome book store, ordering online just isn't the same feeling as going to a book store. Soulless and Mila 2.0 both look really good and I loved Daughter of Smoke and Bone hope you do too! Kim, I don't live in America! :) I'm a Dutchie, so the Netherlands. That's so awesome you found a bookstore like that! I'm reading Etiquette and Espionage right now, so Soulless sounds great. 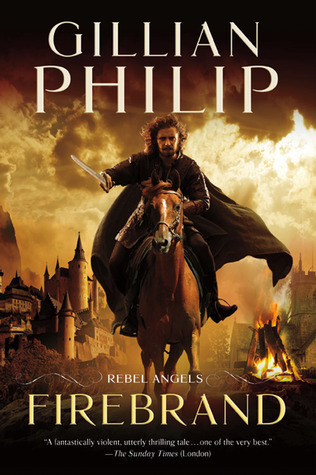 Also, with The Host movie coming out, I really want to read it soon. I'm also very excited to see your thoughts on Daughter of Smoke and Bone, it's so cool we both found it on sale :) Enjoy all of your books! Wow, great haul of books! Dust Girl has been on my wishlist for a while, hope you enjoy! Hang on. WHERE IS THIS BOOKISH HEAVEN?! I need to go there!!! I wasn't a big fan of The Host, but I'm still VERY excited to read Daughter of Smoke and Bone. Aww, such awesomness lol! Believe it or not, where I live there is NO book shop in town!! It's horrible! I have to get everything from Amazon or the library! Yay to finding a new bookstore! Where I live, I don't have any bookstores, which makes me all kinds of sad. But I usually stop by the B&N by my office at lunch when I'm in need of a new read. :) Hope you enjoy all of your new books! Well, I'll go when the snow melts, I'm not very good at ice-skating! Holy - great deals! I would be so excited, too, so congrats on finding that new store! I really REALLY want to read Soulless after reading and loving Etiquette & Espionage! Daughter of Smoke & Bone is probably my favourite YA paranormal book. Hope you love it as much as I do! !